We have been aware of Barton’s “Christian America” WallBuilders movement and his shoddy, nearly bizarre teachings about American history, but his books were self-published and easy to ignore. But this new one ended up on the New York Times best-seller list. (Thanks, Glenn!) We wondered to our Nelson sales representative why a legitimate publisher like Thomas Nelson would publish such a thing? They do some odd-ball stuff, granted, like the over-the-top Patriots Bible, but lots of great books, too–really great ones! I hoped other bookstores would just skip it, allowing it to slip into obscurity. Amazon sold it, and it became a best seller. They have pleaded, personally and in public, for publisher Thomas Nelson to do the right thing and pull the book, laden as it is with egregious inaccuracies. Conservative news weekly World magazine did an expose. The intellectually inclined First Things ran an on-line study of Barton’s sloppiness by dissecting an embarrassing piece he wrote on John Locke. These are sources that are firmly situated on the right of the political and cultural spectrum, and they have insisted that Barton’s work is inaccurate and dangerous. It wasn’t until the impeccable NPR correspondent Barbara Brown Haggerty covered the story of a group of African American pastors in Cincinnati, who are fired up, to say the least, and calling for a boycott, that Nelson decided, yesterday, to pull the plug on the thing and recall the scurrilous book. Here’s the Publisher’s Weekly story on that. So. How about a better perspective? How about some solid resources on this stuff? So glad you asked. Or, I could tell you of the famous Lutheran storyteller’s brother, Steve J. Keiller, who has two books on the relationship of faith and the historian’s task, one (interestingly) examining the anti-Christian themes in the doing of American history called This Rebellious House: American History & the Truth of Christianity (IVP; $32.00) which ends up being a fascinating, if curious combination of historiography and apologetics. 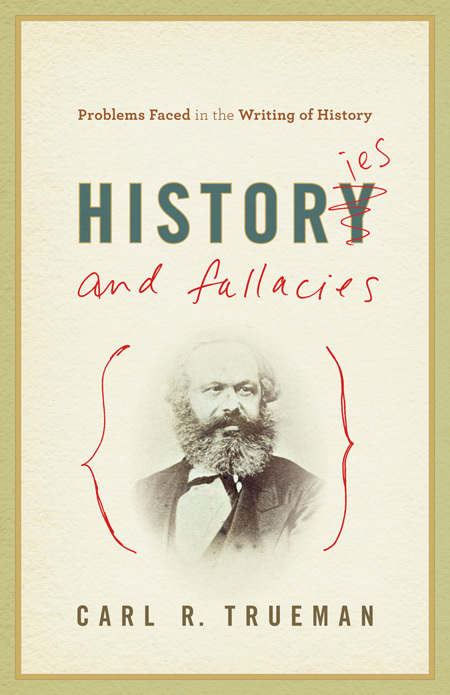 Feisty Westminster Theological Seminary professor Carl Trueman did a good collection of chapters about ideology and the myth of objectivity in history called Histories and Fallacies: Problems Faced in the Writing of History (Crossway; $17.99.) You may recall the semi-scholarly “Through the Eyes of Faith” series I talked about a few posts ago. Yep, there’s one in that series, History Through the Eyes of Faith (HarperOne; $19.99) by Ron Wells. 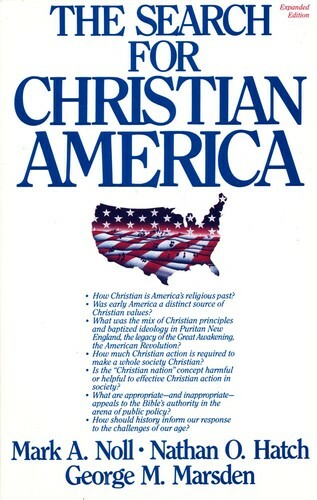 The absolute gold standard for the big question about Christian faith in the founding of America, by the way, an older alternative to Peter Marshall and David Barton and their ilk, has long been the must-read The Search for Christian America by Mark Noll, Nathan Hatch and George Marsden (Helmers & Howard; $17.95.) We have stocked that for years, but it sadly doesn’t get the attention that the dubious work of Mr. Barton does. Well, we enjoy talking about our history section, and these are all remarkable books, important, some rightly famous. f America from a Christian perspective. These are new, fresh, important, highly recommended. 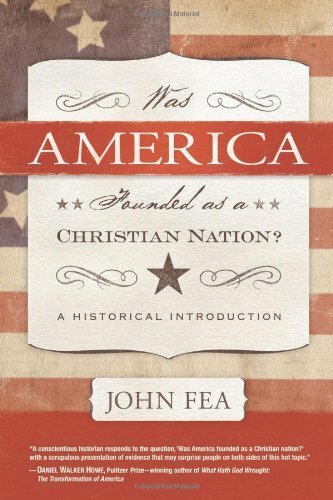 Was America Founded as a Christian Nation: A Historical Introduction John Fea (Westminster/John Knox) $30.00 What a thrill it was to have Dr. John’s input in the NPR story about Barton and his book, and how glad we are that he is fairly near us here in South-Central PA, a professor of history at Messiah College. 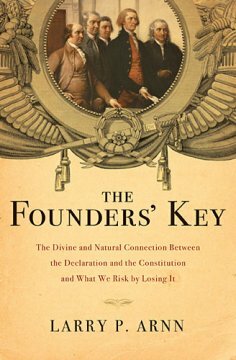 We have commended this outstanding work before, but it is fun to remind you that John was nominated for the prestigious George Washington Prize, an award given each year for the best book about the founders. He was one of three finalists, so he put on a tux, went to Mt. Vernon, hobnobbed with a Supreme Court judge who was on the prominent panel and munched on hors d’oeuvres awaiting the news. Was America Founded as a Christian Nation did not win (here’s the story of what did) but to have a Presbyterian Publishing House book by an author we know, so touted is pretty cool. And it shows that this book on a Christian publishing house was good enough to be taken seriously by the very top scholars in this field. Kudos! Yes, friends, this is the book to read on this topic. It is a good read, very informative, helpful, truthful, insightful about the worldviews prominent in those years, obviously interested in the role of religion, which is to say it will not fit neatly into the “yes” or “no” camps and will not settle for politically correct answers of from any side. He is a solid Christian scholar and wants to get it right, no matter what. Obviously, he is not a Barton fan, he does excellent work, and he honors and explains to us all the ambiguities and variety of angles on this thorny matter. 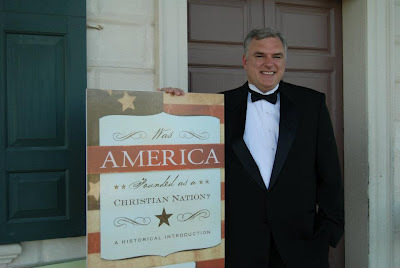 By the way, John will be leading two adult education classes at my own First Presbyterian Church in York later this fall in a class I will facilitate on Christians and citizenship. 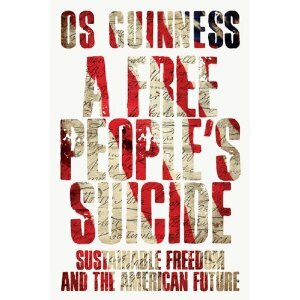 A Free People’s Suicide: Sustainable Freedom and the American Future Os Guinness (InterVarsity Press) $16.00 I have reviewed this here (please do check it out) and hope to talk about it more this fall. It is, as I note in my review, a readable, thorough, compendium of much that the founders and framers thought, offered up in a coherent and balanced way, applied to our cultural crisis in these times. Written by a citizen of the UK who loves America and her ideas and ideals—bringing to mind Alex de Tocqueville, perhaps, his outsider status allows him a certain vantage point to extoll American freedom without jingoism or hubris. His “golden triangle” about religion, liberty from coercion, and virtue, is explored with such gusto, I’d suggest this be required reading for anyone wanting to talk about the renewal of our culture and the future of our Empire. It is a perfect primer for any adult civics class. Guinness is an interesting public intellectual, deeply Christian, extraordinarily well-read, and he is able to draw on the strengths of fairly mainstream American scholarship and yet express wisely many concerns that are often voiced by those on the political right. He shows why this material is so very urgent today. I wish Barton would read Guinness, not just because Guinness is radically different, but because of his nuance, honesty and willingness to appreciate the tensions and even ambiguities of the American experiment. And he knows how to teach us the implications of this all without sounding like a wacko, if I can put it so simply. He knows this stuff well, and brings it to us with urgency and passion. Read my review, hear that last line from Eric Metaxas, and order a few from us right away! This extraordinary new book is a fabulous read for anyone interested in history, biography or the questions of political science that informed the 18th century. 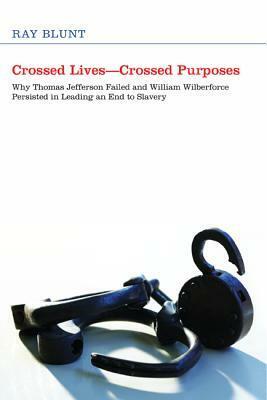 Blunt is a master storyteller, especially exploring the spiritual and intellectual convictions that shaped the two principle characters, Thomas Jefferson and William Wilberforce. What caused them, Blunt asks, to start out so similarly (with public pledges to fight the evils of the slave trade) and end up so very differently? Wilberforce, as Blunt shows, wonderfully kept up the good fight, month by month, year by year. Jefferson, sadly, compromised and reneged, slipping increasingly into the mire he once loudly protested. This is a book about how moral lives are shaped, how wise leadership develops, and how we can learn to be leaders that are winsome, effective and steadfast. Some of the answers Blunt uncovered from his years of research may surprise you a bit. This book is simply a must read for anyone interested in standing for public justice and exercising leadership in complex arenas of civic life. 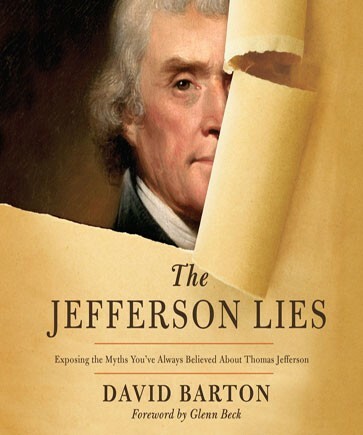 Given that one of the big questions about the Barton book revolved around Jefferson’s views of abolition, his understanding of human rights, his owning of slaves and so forth, I think this is truly an excellent, timely, insightful resource. This is the one that should be on the New York Times, and I wish Ray would have been interviewed in the press, since he knows much about this exact matter. You’ll appreciate his views and be convicted to think through much about your own life, I’d bet, by reading Cross Lives, Crossed Purposes. Arnn is concerned that we don’t know what we should about either of these historic documents, and in The Founder’s Key sets out to teach us about them. (Did you know that some scholars think that these two documents should be contrasted, set opposed to one another? Dr. Arnn does not.) That this shows the integrity and unity of the Declaration of Independence and the Constitutions makes this an important, insightful volume, highly recommended for anyone who wants a basic, traditionalist approach.